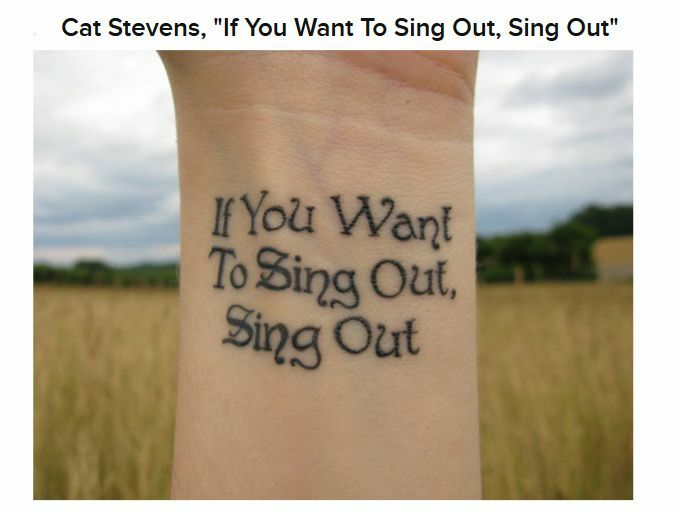 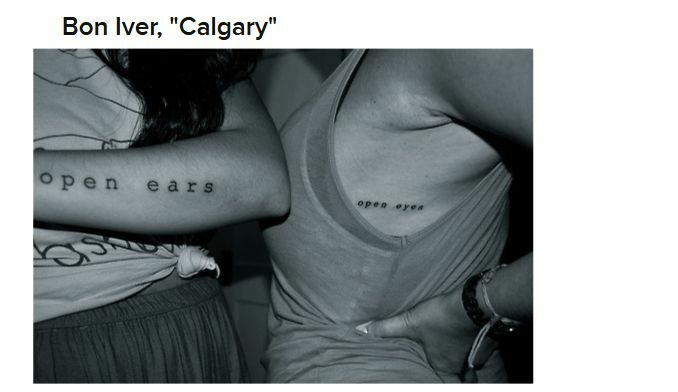 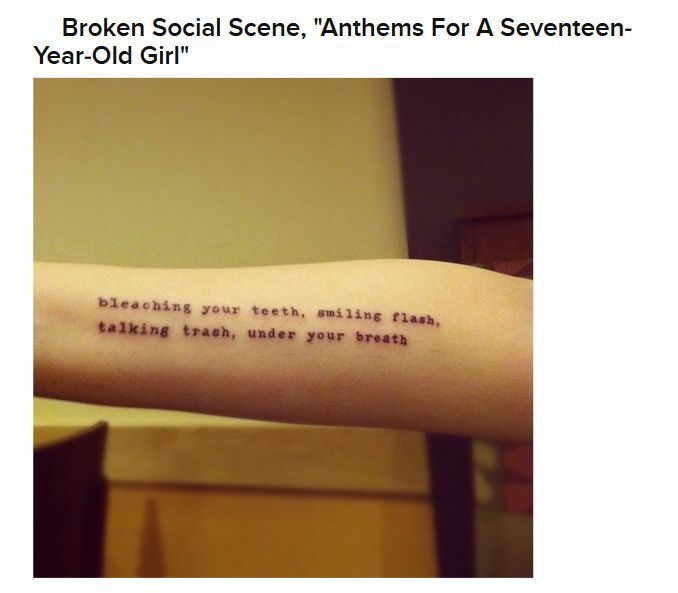 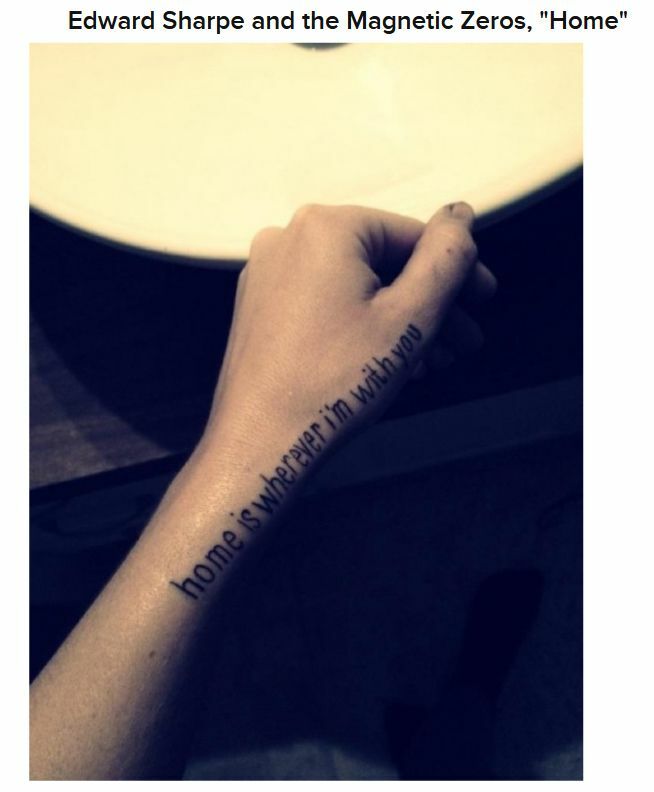 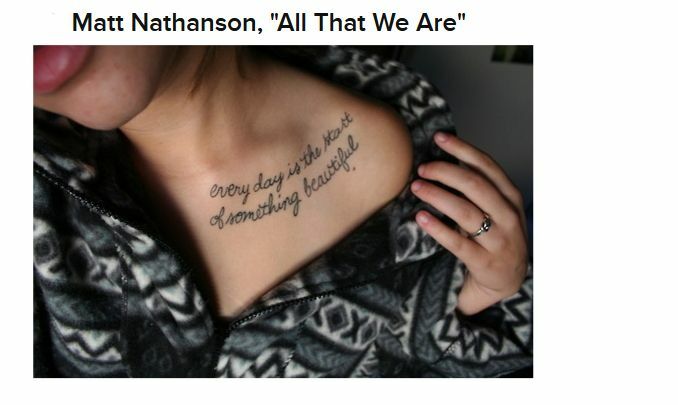 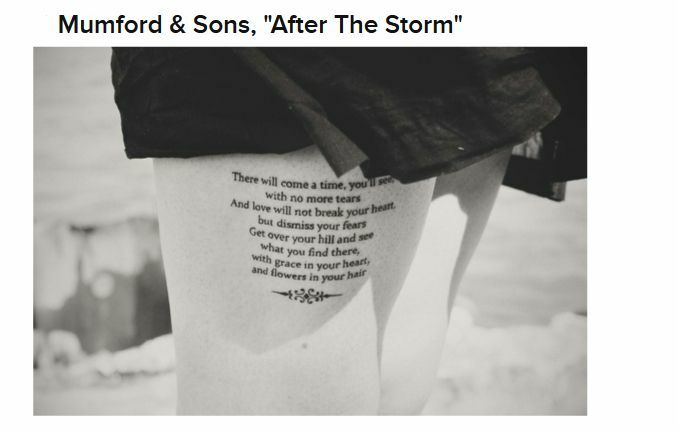 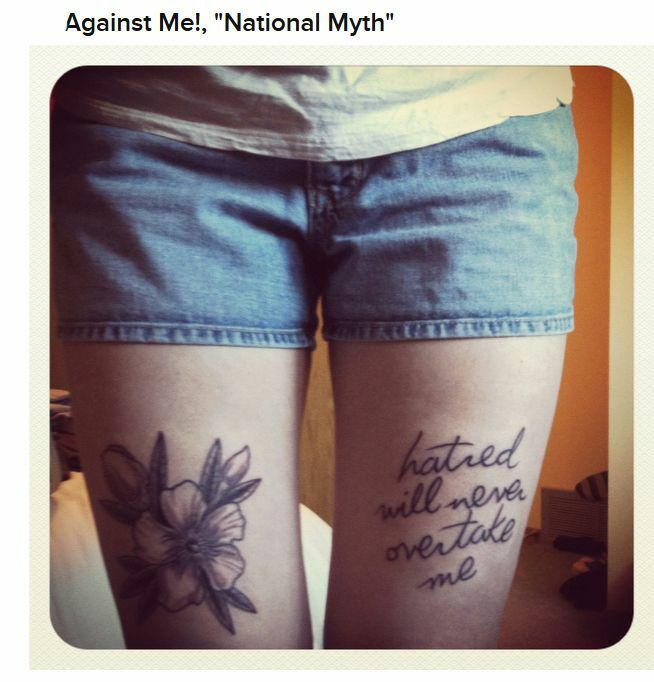 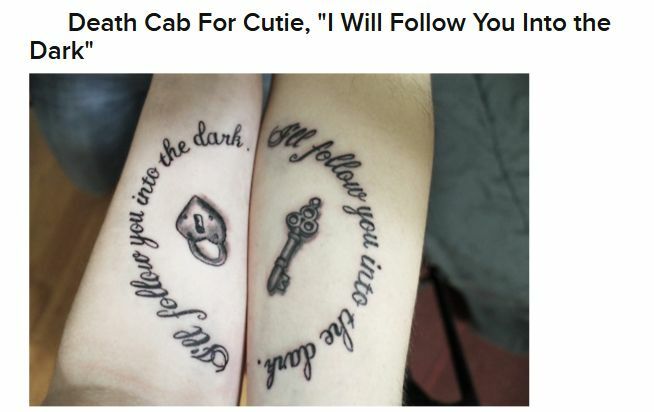 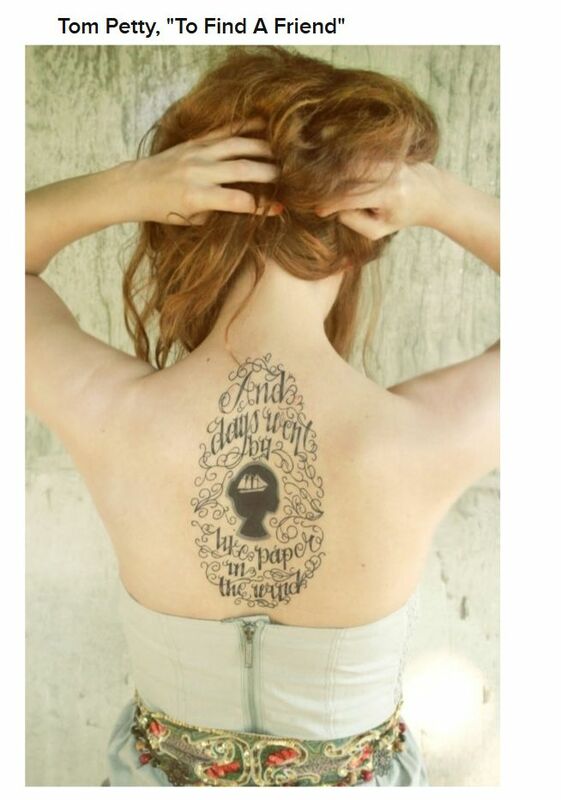 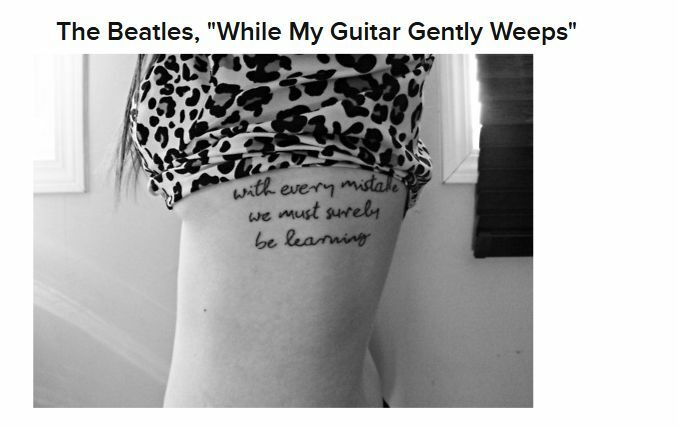 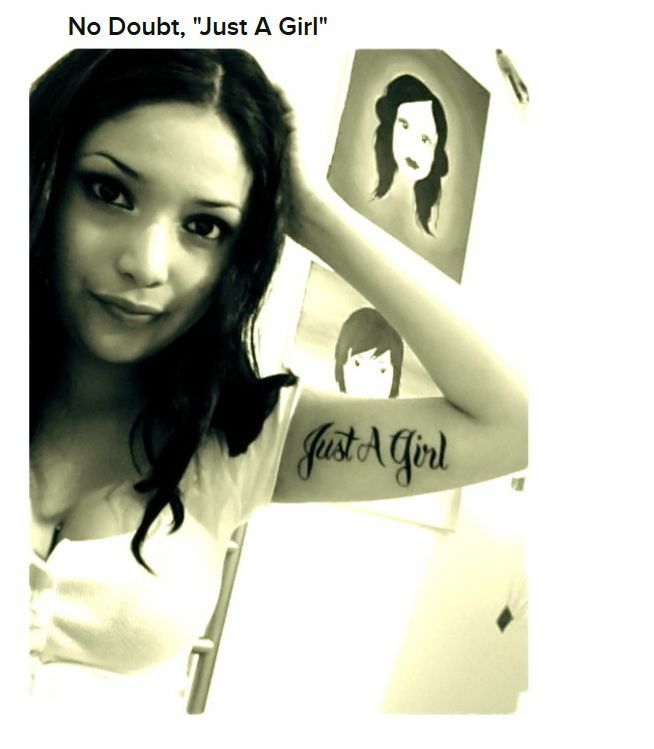 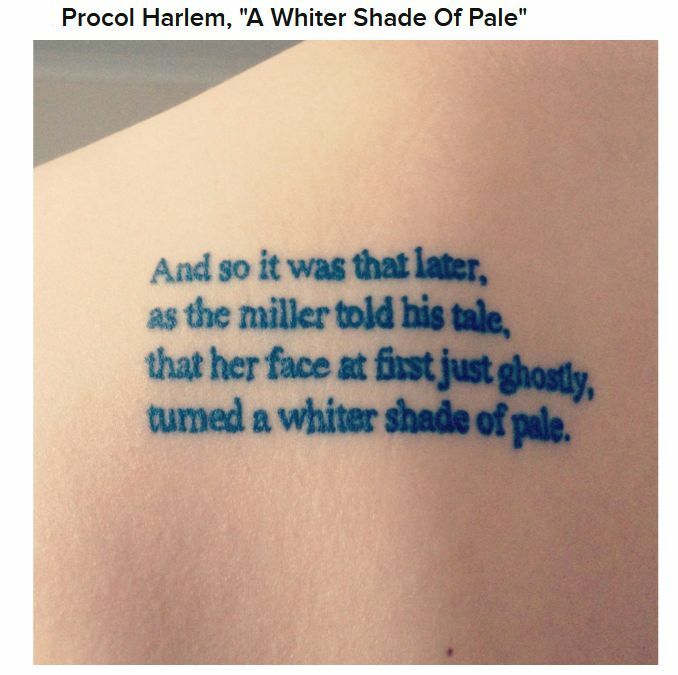 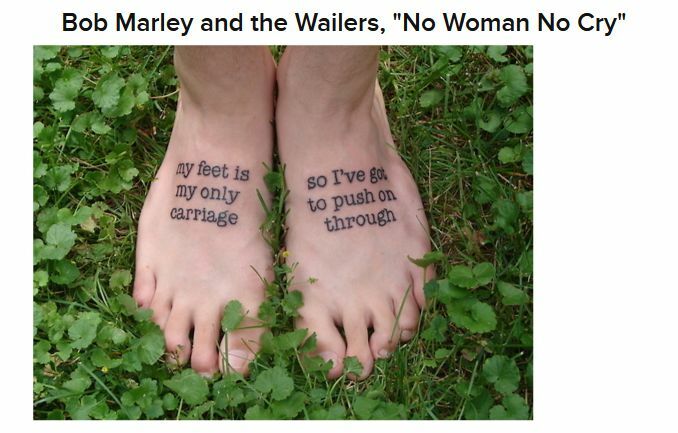 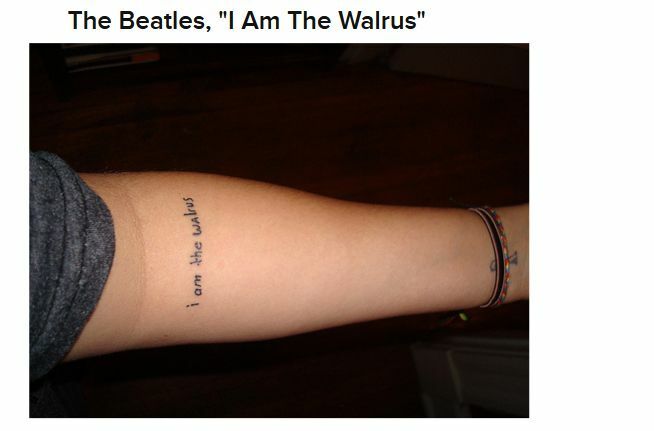 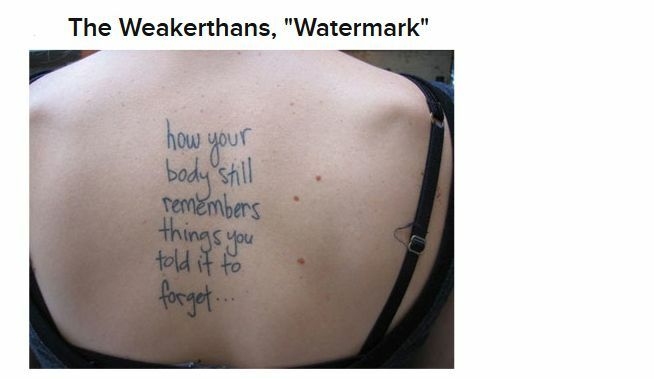 Good examples of song lyric tattoos. 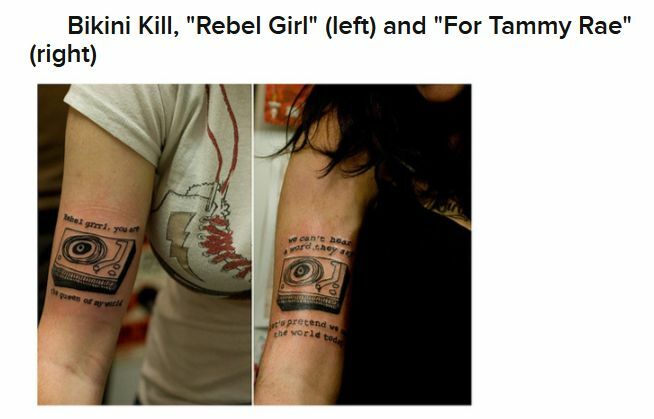 The braille tattoo is absolutely retarded. 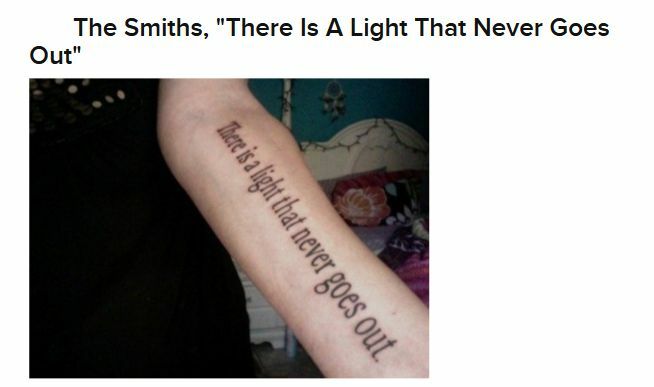 How are you supposed to read it if you're blind? 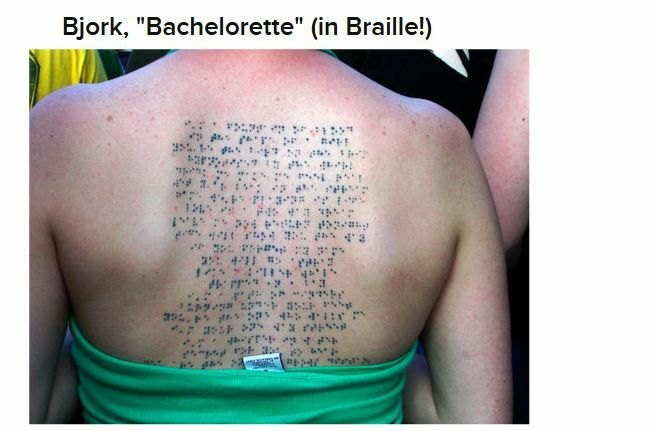 And if you're sighted, what's the point of braille? 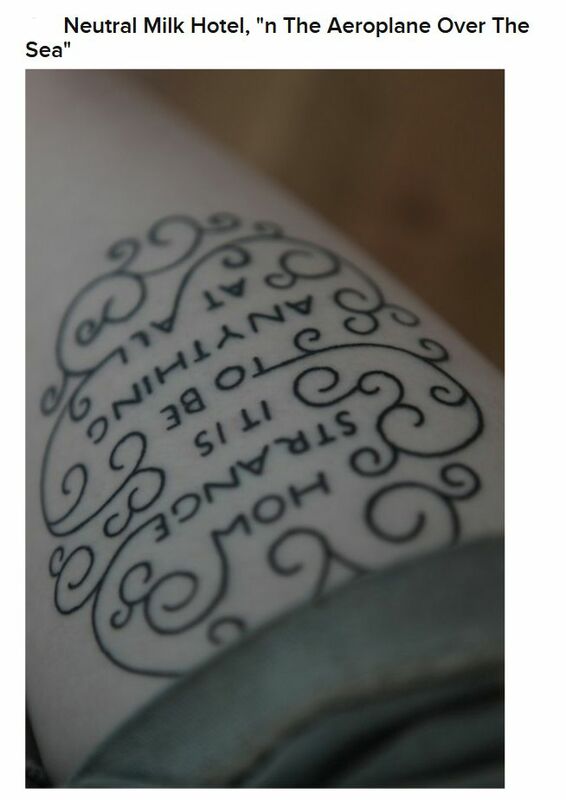 I believe it is 'raised up' so a blind person can actually read it. 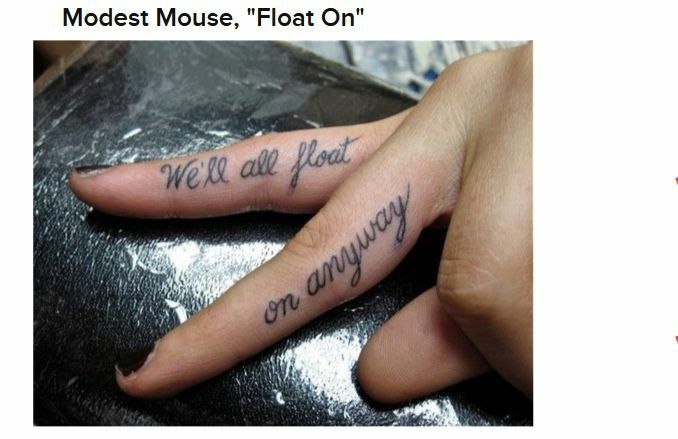 But I agree ... these are stupid.